Having problems with your Hot Water System? Caesar’s Plumbing and Gas specialises in the supply, installation and repair of gas hot water systems. We install Hot Water Systems from all the leading brands, including Rheem, Bosch and Dux. We carry a full range of systems and can recommend the best unit to suit your requirements. Hot Water System leaking or burst? Caesar’s Plumbing and Gas is at your service 24 hours a day, 7 days a week. We carry a comprehensive range of spare parts and, if required, can arrange same day hot water system replacements. 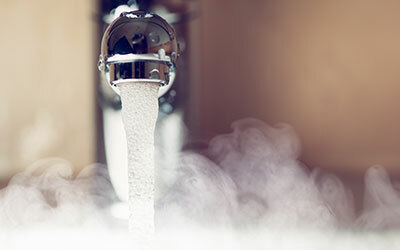 Extend the life of your Hot Water System with regular servicing and maintenance. We can inspect your existing Hot Water System – check and test all safety valves, clean inline filters, test the operation of the unit, burner function, gas working pressure, check the elements, thermostats and setting adjustments for your particular make and model.